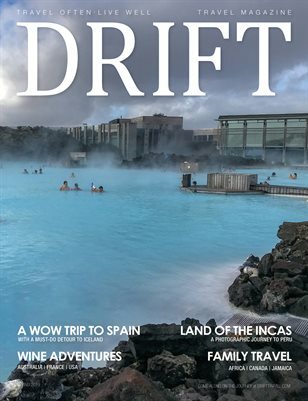 Take a refreshing break from the norm with on-the-water hospitality and experience a destination from a unique perspective. From rural barges moored by medieval bridges to modern, inner-city boathouses with rooftop decks and dinghies, there are endless options of ship-shaped stays on shore. According to Booking.com travelers want to visit somewhere that’s so unique that none of their friends have been. We guarantee these stays at five of Britain’s best boat hotels will keep your friends green with envy. This boutique boathouse docked in Paddington Basin has everything you need for a fashionable and super comfortable stay on the water.There’s a rooftop deck decorated with fairy lights, plants, wicker chairs, and a light-filled bathroom with freestanding bathtub and Aesop toiletries. In the wood-panelled living room, you’ll find a wood-burning stove, faux-fur throws, a chess board, books aplenty, and a roomy, slate-hued modern kitchen. And so that you can make the most of the prime location (proximity to Hyde Park and Marylebone’s galleries and independent shops is another plus), there are bicycles and a rowing boat, too. For a rural English floating getaway, head to the historic town of Sandwich in Kent. Moored next to the medieval bridge, this traditional Dutch barge is ideal for exploring the town’s cobbled streets lined with Georgian and half-timbered houses, before a bracing walk along the shingled Sandwich Bay. 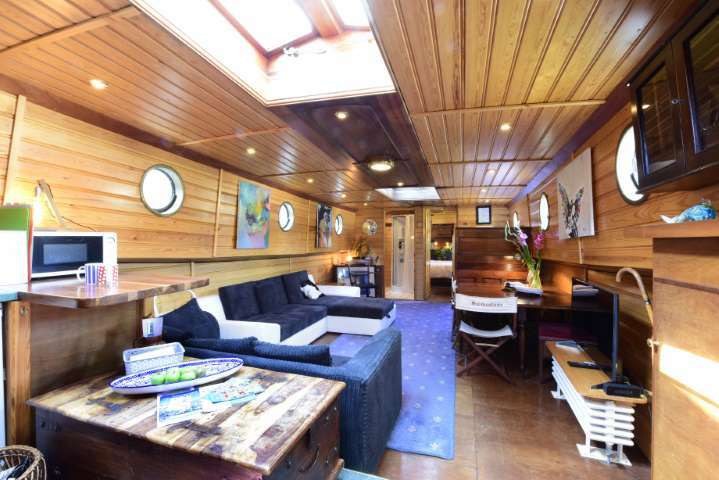 Dating from 1910, the 80-foot barge has an old-fashioned appeal, with wood-panelled walls, porthole windows, an Aga oven and invitingly -soft sofas to sink into. This gleaming white yacht is moored on a bucolic stretch of the river Thames, beside weeping willows and stone bridges, not far from Hampton Court Palace. Set over several decks, it sleeps six in luxe surroundings – think varnished wood, cream curtains and pillowy, silvery-grey carpets. For midsummer visitors, there’s also a barbecue for entertaining guests in the outdoor dining area. Or, in the winter months, disembark and head to one of the many local pubs for a hearty feast. 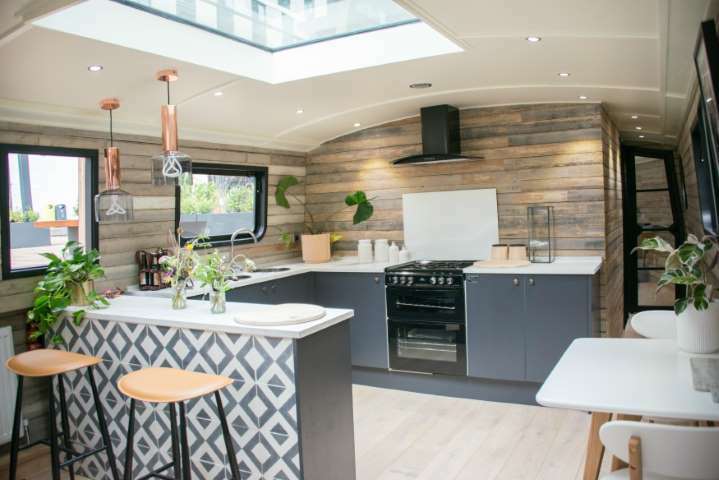 The traditional meets the modern on this classic Cambridgeshire narrowboat. 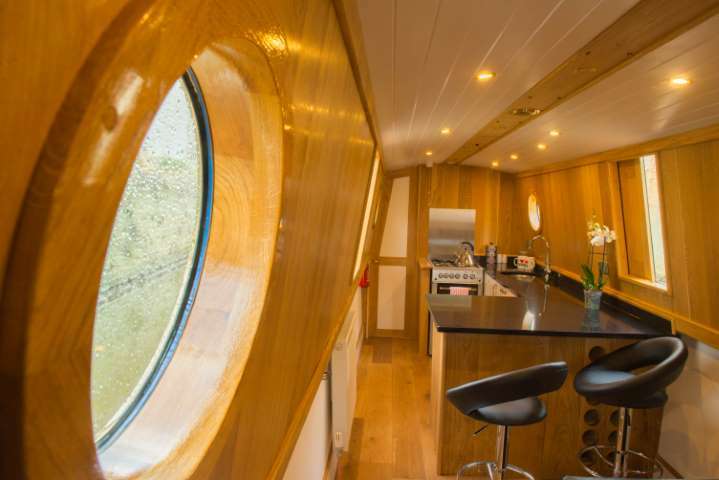 With its charmingly-painted blue, white and red exterior, the Scandi-esque interior comes as a surprise – warm pine walls and a marble kitchen with leather bar stools seem striking against the old brass portholes. Go on a pub crawl of the surrounding area, visit the nearby Ely Cathedral or just sit on the sun deck watching ducks paddle by. 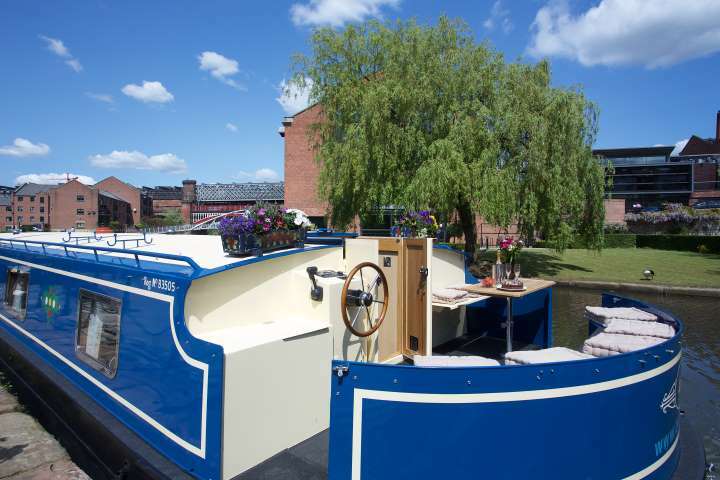 This pretty, blue and cream-painted boat is moored in a quiet location on Manchester’s Bridgewater Canal Tow Path, while also being minutes from the city centre. 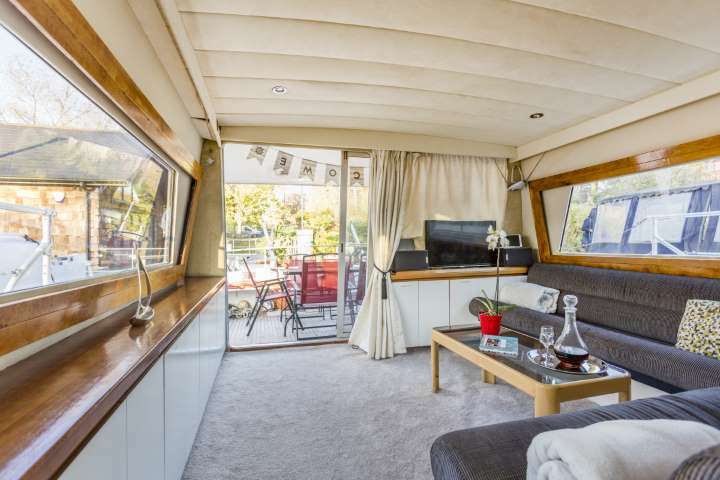 Inside, the stove and patchwork duvet covers create a warm atmosphere, while the generous width of the boat makes it still feels spacious. Wake up to views of swans gliding along the river and have a morning coffee on the flower-adorned deck before setting off to sightsee around the city. Next articleKIDS SAVING THE RAINFOREST TO PLANT 400 TREES THIS EARTH DAY!